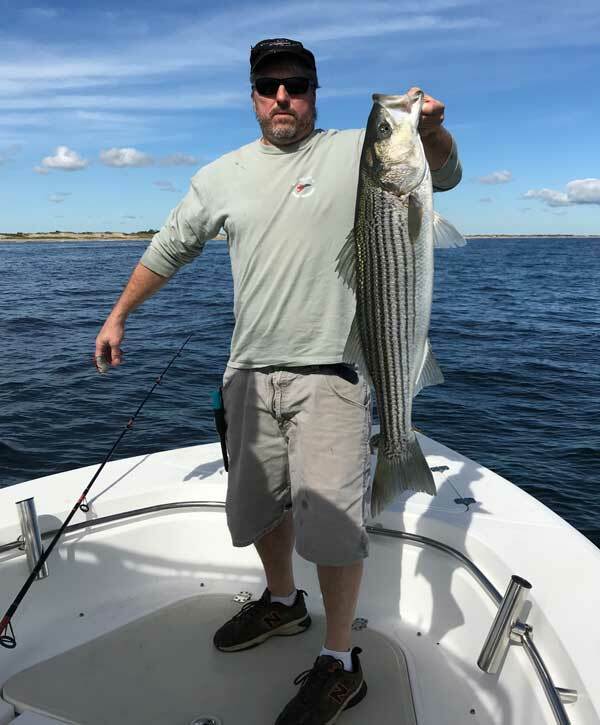 Surfland Bait and Tackle – Plum Island Fishing » Hoo Ahh! Tunaaah! Our own Andy Kelly wrestled this sweet monster in this past weekend. 98 inches and went 397 pounds dressed, so about 500 pounds whole. Last year Andy got a 50 lb. Striper, now this. Next year? John Healey landed this striper down Southern end of island on live macks. 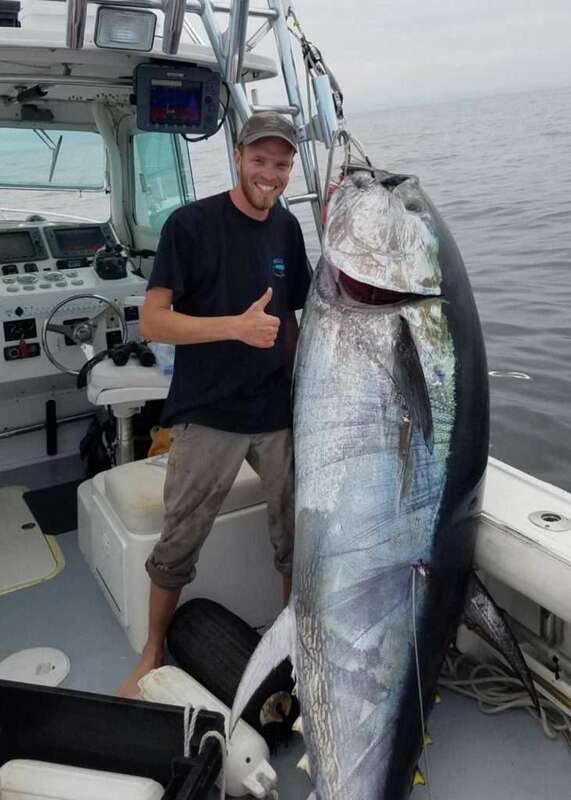 His boatmate tied into a Bluefin that he had on for little over half hour gave everybody a good show before breaking off his 50lb test. What a sight to see. 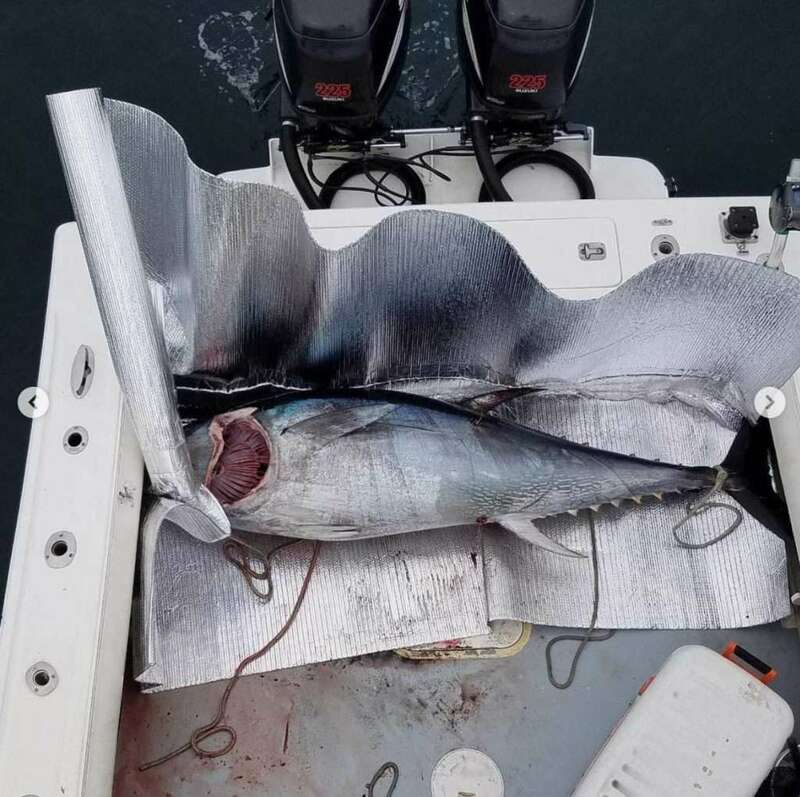 Where was the tuna caught? Off PI?